The dogs and I skirted around so as to not bother him and I was not able to do a close inspection. 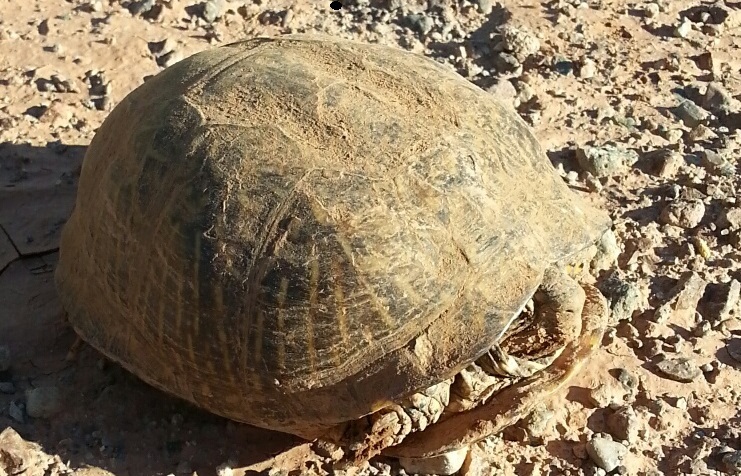 I have never seen a turtle or a tortoise on my property and this did not look – to me at least – like a box turtle, the most common in my area, so I am wondering if he was a tortoise. I have not seen him since so I hope he found his way home again.